This is where the party is at. An excellent example of Chardonnay and my preferred choice from the single vineyard range which includes the Judd and McCutcheon. Apple juice like aromas. Luscious nectarine and peach before a hint of fresh fig enters the fray. Creamy and vanilla oak but fruit reigns supreme. Not a heavily pitched Chardonnay, it's certainly measured and focused coating the mouth majestically and without fuss. The dash of spice on the finish seems in no rush to move on either which is fine by me. Take a bow. It was treat to taste the Estate, Judd, this McCutcheon and the Wallis Chardonnays all side by side. All are single vineyard wines except the Estate which is a blend of the three single sites. As I progressed through the range, I got a clear sense that each wine was a notch or two higher than the previous. My preferred was the Wallis - absolute magic. This McCutcheon is more richer than the Judd. Creamy, more focused but nimble on its feet. Nougat and stone fruits. It's fleshy, measured and precise. The fruit drives up the middle laced with spice gracefully nudging away. Given the choice I'd steer towards the Wallis, but that's just being picky. All aboard the pleasure train! Pretty aromas of dried strawberries, red berry fruits, plums, dark cherries, and a dusting of earth. A wine which possesses an endearing personality, bright acidity and comes across fresh culminating in a long finish. Hold off for ideal drinking for another year or two. Will cellar long term. I've had a number of chats with owner Colleen now and I just wish I spent some time with her and Mike when I was in the Coonawarra region in January this year - Wrattonbully is just up the road. Hindsight is a beautiful thing though isn't it. This Shiraz Malbec has seen quite a journey to get into bottle. The fruit comes from different vineyards, different winemakers and then to meet at blending for the first time before being bottled at a different facility again. It's a bit like an arranged marriage - and I'm pleased it worked. Plenty of time has been spent choosing the correct Malbec clone to suit the region too delivering bunches no bigger than a feisty child's fist - I love that description from the media release. Lots of savoury appeal straight up. Aromas of dried Mediterranean herbs, a hint of mint, dried red flowers - clean and fresh. Take a sip and it's clean cut. Polished. Earthy tones mix with swarve peppery spice. An arm wrestle of sorts, but the medium body delivery is the winner. The 20% new French oak used certainly lets the fruit take the stage. Smooth to finish - moreish indeed. Cellar to eight years but good to go now. Track it down at the cellar door or online. This vintage was selected to be re-released after ten years due to its quality and ability to age furthermore. Sixty dozen were held back. Take a whiff and old cedar and savoury herbs move straight into the fray. Lots of deep purple fruit brightened by youthful red fruits. A dash of Christmas cake, dark chocolate and soothing spice add interest. Soft, long, generous. Acidity has softened as you'd expect. Fine tannins walk proudly with their chest puffed out. Still plenty of life left here. Will hold for another decade and then some. A blend of the three vineyards - Judd, McCutcheon and Wallis. Aromas of red apple skin and a citrusy vibe. Good width is delivered but the peachy fruit just doesn't flow through to the back as much as I'd like. What is presented is generous no less. Whipped butter and a spicy kick sit nicely with a coiled acidity wrapping it up. Quite a muted nose - nothing really jumping out to grab my attention. It's a different story to taste however. The fruit has a deft touch. Soft and elegant but has depth too. A gentle spice has effortless appeal. Vanilla, preserved lemon, white peach, churned butter and a lick of nougat. Of the single vineyards this was my least preferred. I tasted this at midday during autumn and I'm pleased I did - a fab drink for the climate and time of day. Some honeysuckle aromas fill the nasal passages along with expected pear. The action is when it hits the mouth. Wave after wave of spicy pear fruit move through with ease. Textured, courtesy of whole bunch pressed fruit, wild yeast fermentation and eight and a half months in old French oak, the balance between fruit and acid hits the spot. But this wave spicy fruit possesses endless persistence. A pleasure to drink. Generous pours please. A bit of an extrovert here throwing itself out there. And I like it! Energetic aromas of cut herbs, morning dew, cut grass and capsicum. A whiff of under-ripe honeydew melon makes an appearance too. Tropical fruits and those cut herbs let loose partnered by endearing textural appeal courtesy of whole bunch pressed fruit, wild yeast fermentation and eight and a half months in old French oak. Deliciously crisp to finish. A smart Savvy without question. This label makes me giggle each time. Elenay is a fancy way to spell L & A which is an abbreviation for Lips & Arseholes. Fact! And the off cuts this may seem to be, but a beautifully blended wine it certainly is. Andrew Thomas' sense of humour coming to the fore here. Something to warm you up on a cool night. Black earth, mulch and mushroom compost, blackberry and dark plums. Bold and fully loaded. Dark chocolate, juicy tannins and a zingy spice refuse to leave. I enjoyed this edition more than the 2013. A great surprise packet, this 80/20 Cabernet Shiraz shows attractive aromas of blackberry jam, cedery oak, red and black currants and a whiff which reminds me of this Polish plum conserve my grandmother used to buy. Generous, there's a puckering dryness to the delivery yet it walks to a neat beat. Fruit galore. Tannins are tight even after being open for a couple of days. This will hold some form for several years yet. 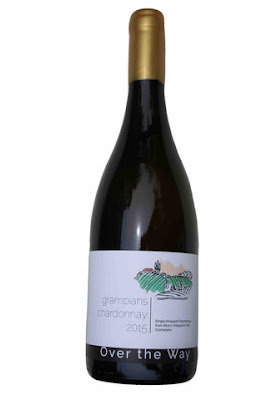 A precise Chardonnay that ticks all the boxes. Made by Dave Bicknell at Oakridge, the fruit comes from the Dixon's Creek vineyard. French oak was used for eleven months. 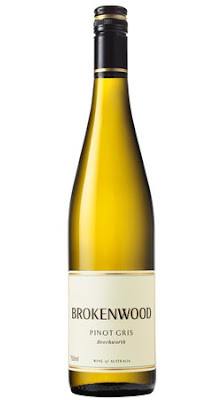 A seamless wine which encapsulates the beauty of the Yarra Valley. The fruit is alive yet walks with humility. Gently spiced oak, fresh fig, nectarine and yellow fleshed peach plus well poised acid stride hand in hand with all components delivering a wine which is an absolute pleasure to drink. Gentle creaminess from the oak caresses the mouth to finish for what almost seems a prolonged and polite farewell. Big love here. Chardonnay fans will be in heaven here. I really wanted to fall in love with this but I just couldn't. All the elements are here for a great wine but they just don't seem to mesh as well as I'd hope. As a whole, it just lacks continuity. 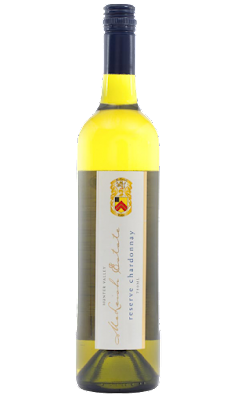 Sure there's cashews, yellow stone fruits, whipped butter and vanilla oak. Citrusy acid chimes in to knock it into shape and it finishes long. But everything just seems to come and go with no real consistent flow, something you'd expect for the asking price. Give it some extra time and it will grow into its shoes perhaps though I wouldn't be shelling out the $50 just yet. To say 2014 was one of the least pleasurably years for winemakers in the Mornington Peninsula region would be an understatement. Still, despite the poor flowering, rain and record low yields, this is again a solid entry level Pinot by the folk at Ten Minutes By Tractor. Dark cherries, spices, an earthy fleck and what seems to come across like tart plums. Good width and length here too. An easy drinking Pinot without trimmings and a reliable go-to that's for sure. The team at Main and Cherry have a knack for producing tasty wines. This fits the bill perfectly again. Take a whiff to welcome cracked black pepper, dried red flowers, plus a subtle smoked bacon like aroma. There's a delicious shape to the wine. It's juicy and the dark fruits delivered are plump. Savoury herbs chime in well moving to nicely balanced acidity culminating in a long finish. Pleasure comes in droves here. So do top ups. Over the Way is a label made by fellow wine scribe Patrick Ecklel and this is his best offering thus far from the wines I have seen. Well, in my opinion anyway. 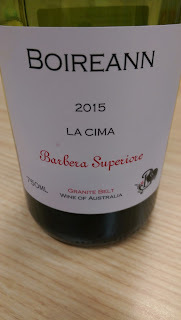 His range of wines currently numbers five and he draws fruit from Grampians, Heathcote, Sunbury and Macedon Ranges currently producing 4000 odd bottles. This Chardonnay is a solid package. Barrel fermented with nine months on lees, it is highlighted by white peach, gun powder, whipped butter, spiced vanilla oak, and a squeeze of lemon juice. Citrusy acidity with an underlying minerality wrap things up. Delivery is long and satisfying. A wine that certainly grows on you with time in the glass. The asking price is quite modest too. This Zinfandel comes from a vineyard 500m above sea level which was certified organic and biodynamic in 2003. Take a whiff and be met with fruit compote, prunes, blackcurrant, dark chocolate and exotic spices. Generous fruit delivery parades with ease leading to dusty tannins drawing out saliva for a mouthwatering finish. Tick! A tremendously enjoyable wine with plenty of width and oceans of depth. Will easily cellar long term. Handled with kid gloves right through to bottling which took place by gravity feed. This Pinot saw 25% new oak for eleven months and is a blend of the Sexton, Applejack and Tarraford vineyards. 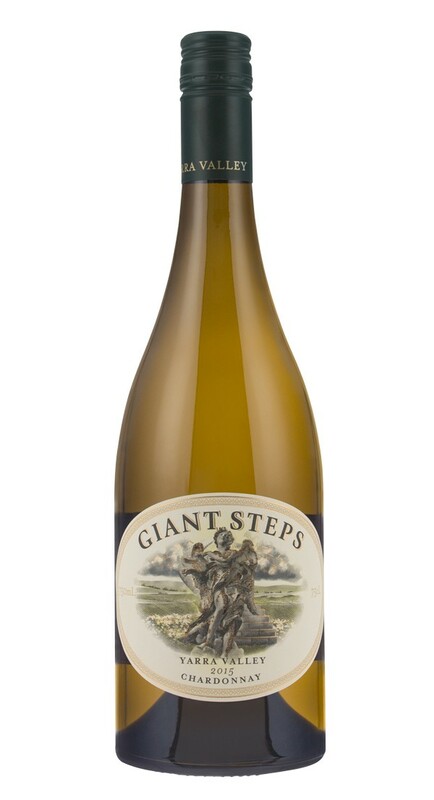 Whilst this is a new label to the Giant Steps range, the same rule applies as with the Chardonnay - only a fool would write this off as the dregs. Red and sour cherries, cranberry juice, mushroom compost and a soothing spice. It carries a delicate weight yet delivers generous width and an almost endless length. No nonsense good drinking pleasure. Made from Merlot, a fruit driven wine bursting with freshness. Mandarin and tangelo type aromas pique some interest. Down that hatch and red currants, freeze dried strawberry and cranberry come out to play. Lots a juicy. Lots a smashability. I'd buy this for warm days by the pool or for that Sunday lunch time BBQ. Curious aromas of sea spray and expected tropical fruit. Cut herbs make an early appearance before a lemon sherbet whips through leaving a dash of kiwi fruit and green melon to mop up the tail. A respectable drink and its simplicity will please many. Nutty, butterscotch, spiced vanilla oak. Wade through typical Hunter Chardonnay characteristics. There's a soothing richness to it. The mid palate goes missing for a second or two however. It's more thin than anything really. Lots to like here though, don't get me wrong. Some more time in bottle will kick this along too. I wouldn't say no to a glass. It's a privilege to line up a range of wines from one producer. Like a child, each wine has its own personality and tells a unique story. This Sweetwater lets its savoury personality sing. There's a calmness about it. 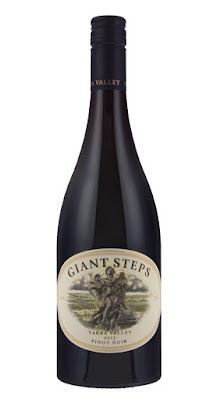 Knee deep in dark fruits, it's framed by earth and dried Mediterranean herbs. Neatly balanced, there's nearly a green apple like acidity crunch. That lively acidity compliments the fruit well though time will tame it no less. The asking price is reasonable. Too reasonable perhaps. Alas, it'll be worth lining up for come the release date on 7 May. If this is an indication of the quality of the 2015 wines from the Yarra Valley, best you save your pennies. A new range of wines from Giant Steps incorporating a blend of fruit from the Sexton, Tarraford and Applejack vineyards. Only a fool would pass this off as a blend of the dregs from the single vineyard range. Only 20% new oak was used and no malo took place. Grapefruit and fresh fig drive hard up the middle flanked by a squeeze of lemonade fruit before a rub of peach skin makes an appearance late. The freshness and delivery here is impressive. Oak is neatly poised but the clean fruit presence cannot be disputed. A smart Chardonnay in many ways. 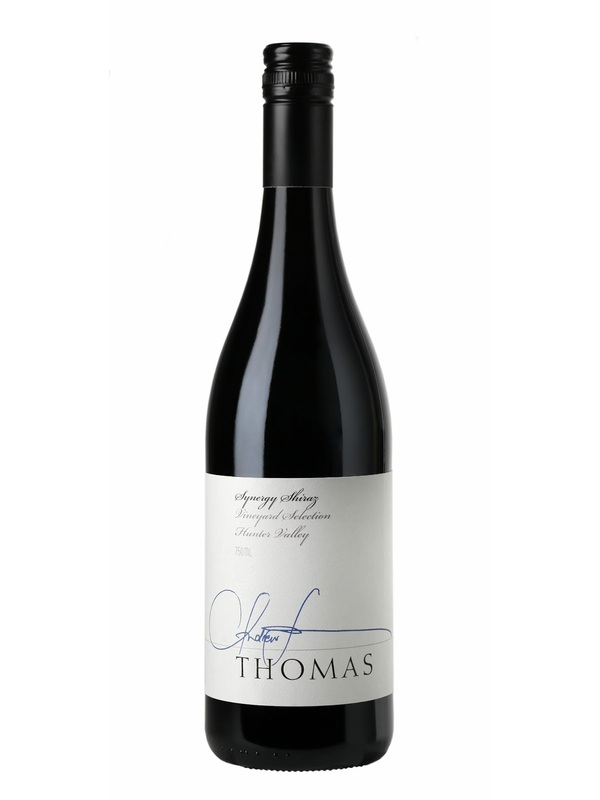 Shiraz with a splash of Semillon verjuice, and Andrew Thomas nails it. There's so much appeal in the glass. Bright, you get the sense it is alive and bouncing on the balls of its feet. Medium bodied, earthy and savoury fruit are tempered by the co-fermented verjuice which lifts the wine aromatically whilst slipping on the dancing shoes. Blue fruits and aromas edging on violets have me hooked. Crunchy like acidity rounds out a wine which I can't resist but keep topping up. And I did. Super buying for $30 too. Just as the days start to cool this beaut picnic drop comes through the door. Sunshine and good vibes are rolled out here. A 60/40 blend, the Semillon fills the palate out and the Sauvignon Blanc sourced from the Adelaide Hills brings aromas alive. Green apple, lemon juice, grass, freshly cut herbs, green melon and sugar snap peas. Fresh and crisp - thank you very much. A top buy for $18. An Australian take on an Italian classic. Minty, some deeper and rounder flavours roll through but showing true medium bodied form. Some of that acidity crunch synonymous with the variety tries to wriggle through but the fruit seems to wrestle the interest. Juicy red fruits led by cherries before dried oregano looms up late. A little fruit sweetness lingers. The super fine texture a winner. Shelf appeal is also high with the attractive orange label. A most enjoyable wine which slides down with ease. I could throw back generously poured glasses no questions asked. Worth tracking down - find it online or check the website for availability in South Australia, Victoria and New South Wales. A wine that just grows on you. The more time it had in the glass the more pleasure it brings. Tar, reddish earth, blackcurrant, lashings of oak, instant coffee and bitter dark chocolate. A little fruit sweetness lobs up but the enticing depth ticks the boxes. A style I enjoyed. I don't like the label much but I'm a big fan of the contents. The label has that supermarket home brand appearance - well I think so anyway. Cherry cola, mocha, and sweet blackberry aromas. Soft and generous delivery with juicy and plump tannins. The fruit is long and persistent. Heaps delicious! Lots to like about the style here. A good find. Drink over the medium term. Stunning cool climate Shiraz. The only sad part about this is that owner and winemaker Peter Stark is looking to sell up which will be a huge loss for the Queensland Wine industry. Aromas of dark and red fruits, a fine spray of white pepper dust, the bright appearance is just humming. Medium bodied, white pepper coasts through the mouth with ease. 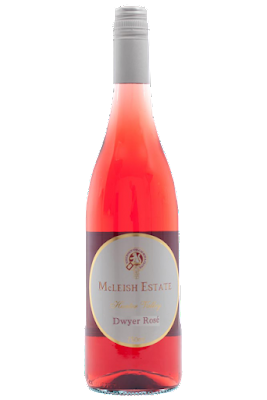 Briary and savoury characters tend to take over the red fruit lying below finishing long and very satisfying. Impressive. This would stick it to the top Barbera wines in the country. Leafy characters sneak up early. Coming from five year old vines, the smaller crop and smaller berries here have produced an energetic style. Laden with savoury and cherry fruit. Bright crunchy acidity rounds off a well balanced wine. Tightly coiled, give this a couple of years to start to unwind. Super fine in delivery, dark fruits and compote finish with a dusting of powdery tannins. It's right in the slot. I'd love to see this with some time under its belt. The quality here cannot be disputed. Dominated by savoury fruit, hints of mint pique my interest. Plush in delivery, powdery like tannins round out a fantastic expression of Sangiovese. Fresh as a daisy. An absolute pleasure to drink. Squeezed lemon juice with a preserved lemon twang. Still in a honeymoon phase before the toasty and honey characters start to develop. Waxy fruit sits persistently and seems to kick back and hang around for eternity. Acid is soft and perfectly measured complimenting the fruit. Whilst a delicious drink now, the patient will be rewarded furthermore. A tremendous example of aged Semillon. Hunt around too - the RRP can be beaten by up to $15. Drink now or cellar for the long term. As Andrew Thomas says, "If you can't make a good wine in a year like 2014, you might as well give it away." Thommo need not consider pulling the plug just yet either as he has smashed this outta the park. Generous, soft, engaging were the words which immediately sprung to mind to describe this new release. Not only is Thommo a great winemaker, he's not one to profiteer when the going is good. Sure the Hunter has seen an exceptional year in 2014, but many have taken to opportunity to release wines at deliberately spiked price points to make the most of it. The Kiss Shiraz, the flagship of the Andrew Thomas range, hasn't seen a price increase for four years. Respect. Oceans of pleasure are delivered here sitting on the heavier side of medium bodied. Violets, red and blue fruits, a kick of earth, a smidge of cedary oak and an intriguing Caramelo Koala like presence courtesy of the oak too. Baking spices roll through with ease forging a neat passage for some gentle pepper. The oak regime for this wine has been paired back in recent years and that is clear here. Whilst it is noticeable it's by no means obtrusive or overpowering. To get the best of it, let sit for another couple of years and it will easily cellar for ten years plus. Before reaching for the fine print, some worked Sauvignon Blanc aromas are apparent. Sure enough, all the Sauvignon Blanc used was fermented in old French oak with a mix of wild and cultured yeasts. A 67/33 blend, amongst the complexity there is a lively vibe. It opens with a struck match like aromas before fruity and herby characters take hold. Caramelised pineapple, tropical fruit, fresh green herbs, subdued musk sticks and squeezed lemon add vitality to the textured component. Acid is soft leading to a length which hangs on relentlessly. A fantastic wine. I've seen this on special in retail land for around $16. Not bad going for that money. Cherries, raspberries and peppery spices get things rolling. Some dense fruit delivered by dark plums too. Flavours cling to the mid-palate without much follow through to the back. Dusty tannins frame a long finish with those plums and spices going at it hard to the death. I'd have a glass with a steak or a stew. Said to be a 'Wines of intrigue and natural appeal,' those boxes have definitely been ticked. The intrigue factor has been cranked up with ease. A simple label and wax seal offers immediate impact to the eye. A curious blend of Gargenega, Marsanne and Gewürztraminer, percentages unknown. Looks like reconstituted apple juice in appearance, some skin contact has done its thing here. One whiff and the senses go wild. Every other whiff comes up with something new. Rose water, musk, honey mead, canned apricots, marigold flowers. Some lemon curd but not. Some peach skin but not. Spiced fruit lingers and the delivery is generous. It's zippy and lively yet has a mellow side. I just want another glass. Quite leafy with some citrus zip. Gooseberry, honeydew melon and green capsicum prominent as are cut herbs and grass. Fair refreshment which would wash down seafood with ease, but not a wine I could drink a lot of. I ducked into the bottlo to find something to wash down the Malaysian we were having at the restaurant next door. Admittedly the range wasn't extensive but I couldn't pass this up when I saw it in the fridge - sheer drinking pleasure. Lots of lemons and limes plus lime zest. The back label suggests a whiff of bath salts which hits the mark. White florals are in the mix too. A pleasure to drink due to the freshness delivered. Acidity is crisp and cleansing. Expected Clare Valley minerality saunters through with chalky feels on the palate, but that rush of citrus keeps rolling on. Fantastic Riesling. Drink now while fresh but will cellar for the long term if desired. This wine grew on me. I do like a wine that asks the questions early and answers them later. Case in point here. Dark and red fruits, pencil shavings, savoury dried herbs, and oregano. There's a rose hip/rosella like thing secluded in the background which lobs up to get my interest here. Nice! In the mouth the wine dries out and the savoury characters hang on taking hold. Given some air this shines. A most enjoyable medium bodied drink which is well priced. A blend of Hunter Valley and McLaren Vale (60/40) fruit. Some smoke and char, BBQ meats, plummy, and a hint of cedar. In the mouth it is dominated by dark fruit and tastes a little stemmy initially, but the dark fruits drive through taking hold. The acidity has a freshness and vibrancy to it. 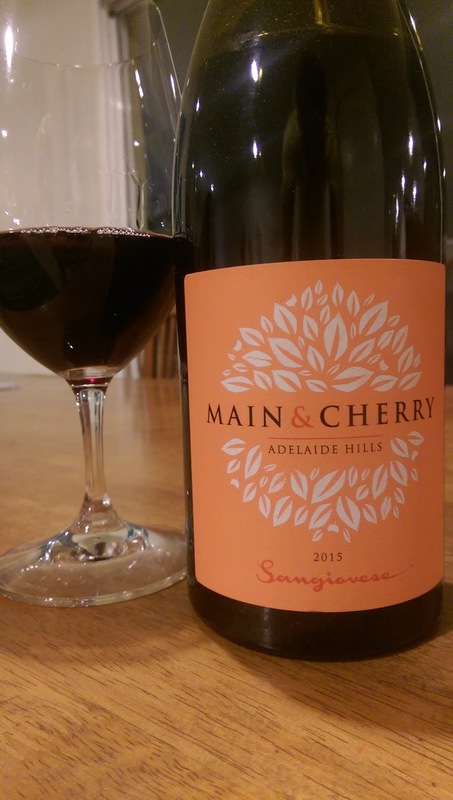 A solid drop to share at your weekend BBQ but for the same money I prefer the Synergy Shiraz. Grassy, cut herbs and citrusy aromas. That Semillon fatness really comes to the fore here with a phenolic character which just hangs. Down the hatch and lemons and limes roll through effortlessly in a constant wave. Vibrant acidity lies in wait to cut through your fish and chips but I wouldn't say no to a bucket of prawns and a glass or two that's for sure. Drink now but will develop nicely with bottle age over the long term. Beechworth is a key region for Brokenwood with more vines planted there now than their Hunter Valley base. A straight up delicious wine. Fermented in stainless steel, lovely aromas of white peach, limes before fresh cut pears step up. Clean and crisp, a refreshing drop to tuck into to get the night underway. Now here's an interesting story... a winter harvest. 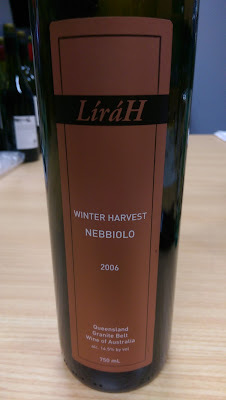 Líráh have succeeded to pick during winter for five successive vintages (2005-2009) and claim to be the only vineyard in the world producing this style consistently. A quarter of the fruit for this 2006 was picked in April with the balance in June. June! And whilst this style of wine needs to be differentiated from "late harvest" or "ice wine", yields are very low - 1500kg from 1.2 hectares compared to norms around ten tonne per hectare. As a result, only up to 100 cases are produced. Some different vineyard sites have been trialled over the years yet only one is able to produce fruit which doesn't rot delivering ripe, round berries. Ochre and red brick like in appearance with head spinning aromas of soy sauce, port, mushrooms, oyster sauce and some roasted nuttiness. Oak is present but plays a neat supporting role. The mouth is coated generously and the super fine powdery tannins appear have been sprayed on lingering for what seems an eternity. A wine you just want to sip and savour every last drop yet it is still working to its peak form. Will age as long as you want but 20 years is suggested. Not available retail but can be purchased on premise at Brisbane's Il Centro, Aria and online. 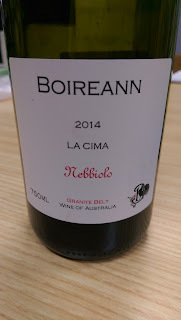 In a line up of the new Boireann releases, this stood out head and shoulders. Attractive aromas had me hooked from the word go. There's so much I find appealing about the wines from Boireann. Sure it's the small scale production, consistent high quality, meticulous attention to detail - all that and more. But despite Peter Stark's success with each vintage selling out in quick time, his price levels often fluctuate. Often wineries bang the price up and leave it regardless of vintage and quality. Peter puts the consumer first and margins later. Last year this wine went for $65 a bottle. This 2015 shoots for $30. Too cheap in my opinion - the quality is there deluxe. A power perfume leaps out courtesy of blueberries, violets and fresh apricots from the 6% Viognier. Attractive. Delicate. 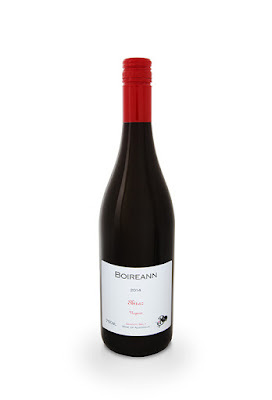 Generous fruit flavours of dark cherry and blackberries intermingle with soft oak (50% new). Soft pepper cruises through leaving a fine and long finish in its wake. I'll be lining up to get my share.